and this is the after. 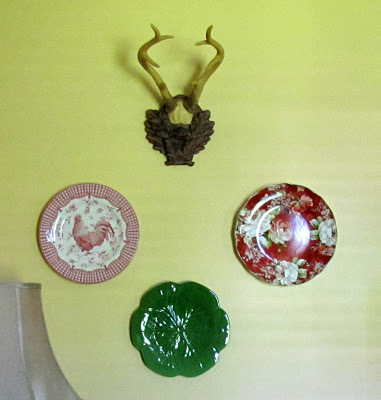 I used these disc plate holders that I bought at Hobby Lobby to hang some plates on the wall. FYI, whenever I type “plates on the wall” I keep humming Pants On The Ground – that song from American Idol that General Larry Pratt sang (lol). Anyhow, they attach to the back of the plates so you don’t see the hangers. Hobby Lobby had two different sizes. 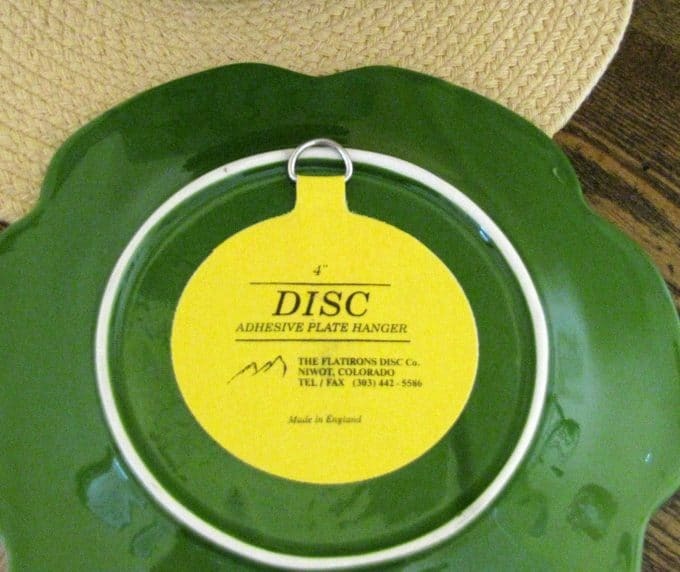 This 4″ circular size is for plates up to 12 inches in diameter and were $4.99 each. They also had the smaller 3″ circular size which is for plates up to 8 inches in diameter and they were only $1.99 each. Now, I was going to chance it with the $1.99 ones because I am cheap, but opted for the $4.99 ones at the last minute. I kept having thoughts of plates crashing to the ground in the middle of the night!!! I bought all the plates at HomeGoods at various times. This is my latest and last of the plates. I loved the chicken, but thought it might clash with the other red one, so I agonized over that plate for a long long time before I actually purchased it. I bought this plates around Easter and it is the typical cabbage leaf plate I see there occasionally. And this is the plate that started the whole “plates on the wall” thought. I saw it at HomeGoods and knew I wanted it but didn’t know what I would use it for. 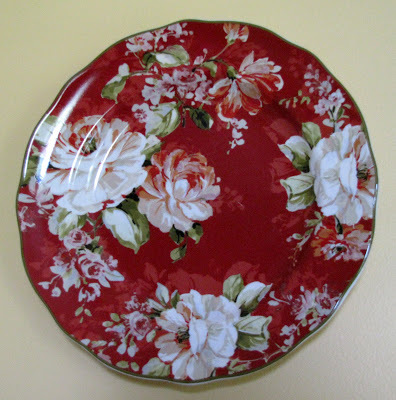 Then I saw some other bloggers putting plates on their walls and it inspired me to get some more plates. 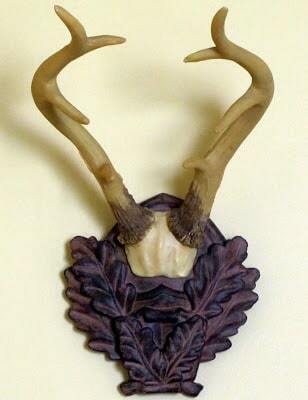 A couple bloggers that I follow have used antlers in their decor lately. Kim at Savvy Southern Style has used them in her den and Marian at Miss Mustard Seed’s has some in her dining room. I loved how they used their antlers and liked the French countryside look of them so I decided to give it a try. I bought these antlers at Big Lots (yes, that Big Lots). They are a resin or composite material of some type and were only $10.00. 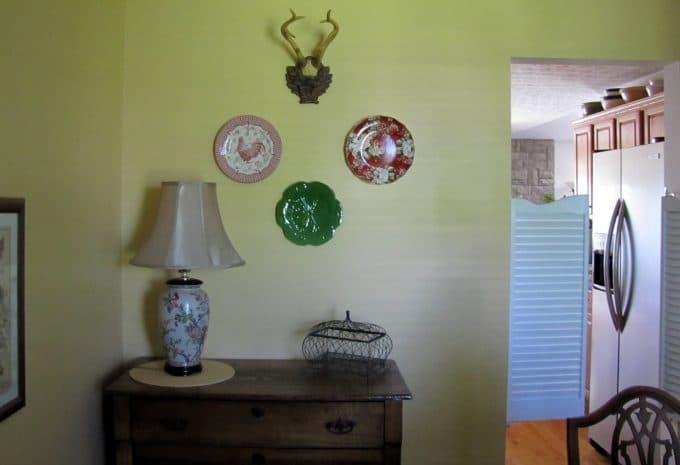 I think they add a little unexpected something to the room. On a side note, while I was taking the photos our cat, Otis was going nuts behind me trying to crawl through the blinds to look out the window. 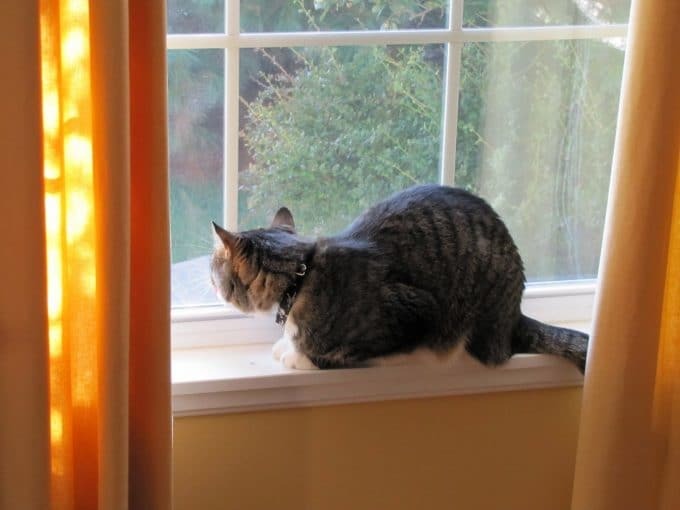 He never ever sits in this window, so I pulled up the blinds to see what he wanted. And this is what he was looking at. 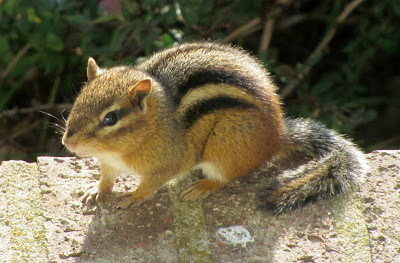 Alvin, the chipmunk was coming to visit. 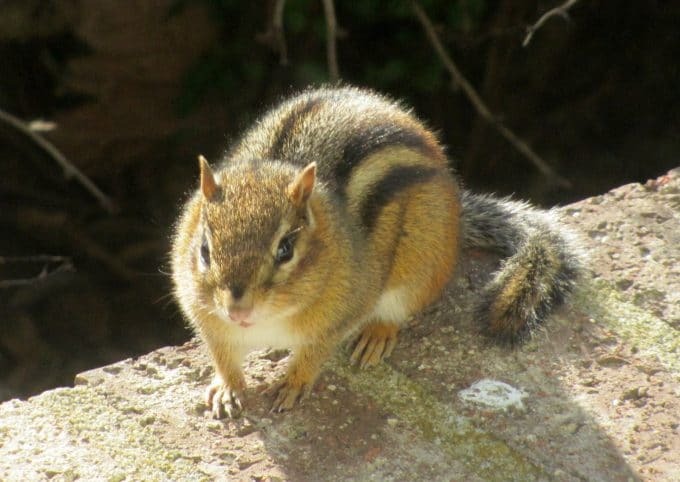 He looks very cute, but I would love him more if he and his friends would quit jumping around on my bedroom roof at night! Love your plates (especially the chicken one). They really have brightened up that wall. 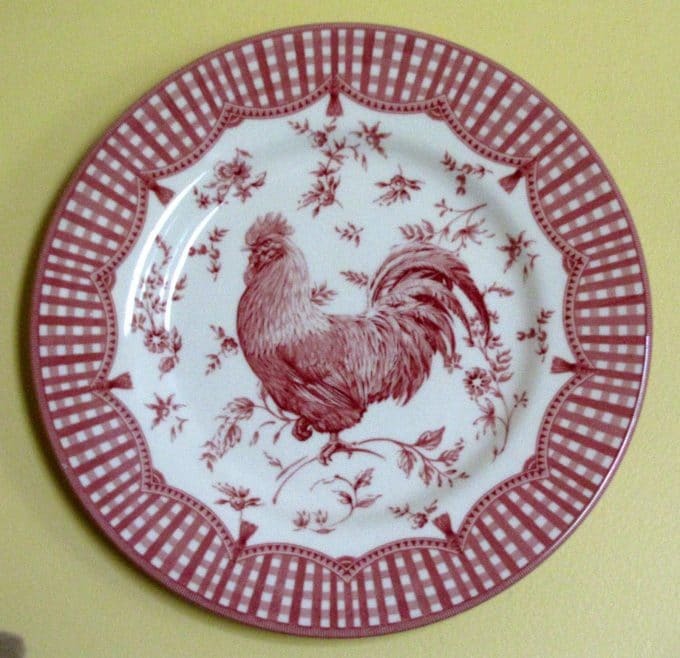 The chicken and cabbage plates both draw their color from the red plate and look just fine together. Pam, Thanks for stopping by, we are getting Our first Hobby Lobby in Orlando this fall…I can’t wait it seems they have the neatest things, I love the plate hanger!! I am so glad I was not the only one that did not know the American creed!!! 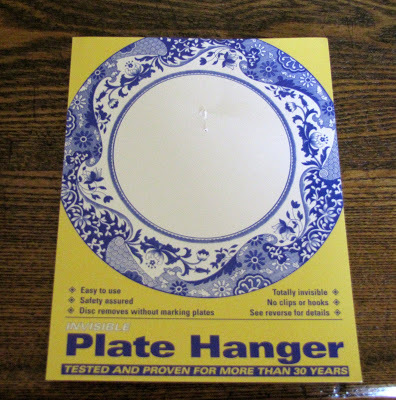 I have never seen plate hangers like those – how perfect! I have a lot of plates, so will keep that in mind. 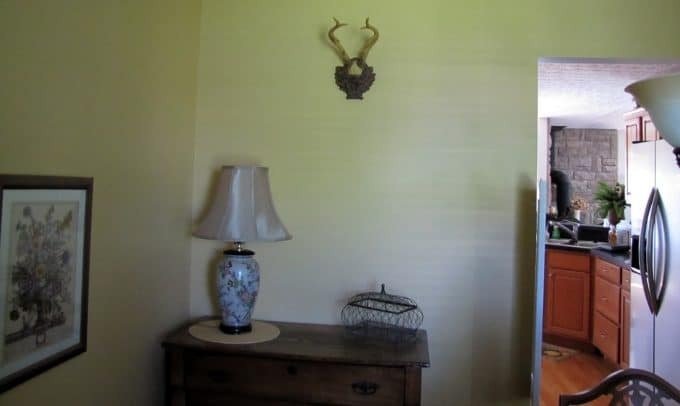 Never would have thought those weren’t real antlers! 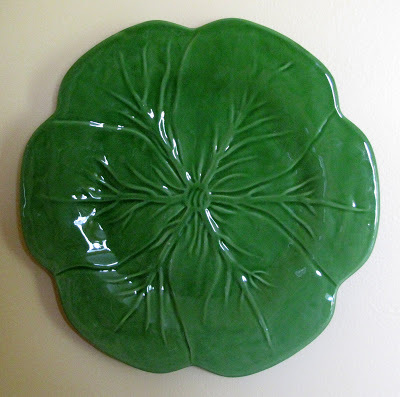 You think of “Pants on the Ground,” for plates on the wall. I have that song lyric from Beauty & the Beast in my head, “I use antlers in all of my decorating…” Sorry if that’s too obscure. Cute movie and I love the music. 🙂 The antlers look good with the plates. It’s an interesting juxtaposition.